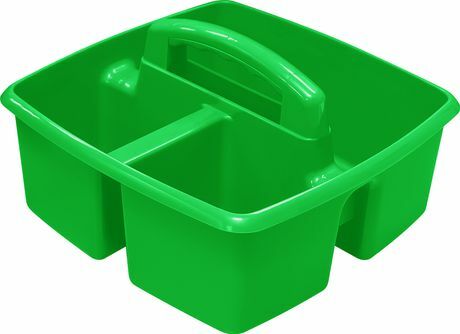 Sort your supplies, organize your toilet accessories or carry hardware tools with this small caddie/carry basket with rounded handle for comfort grip. The Caddy has 3 compartments (1 large and 2 small) and is very versatile for usage. You can hold many items like art & craft materials, cleaning supplies, toilet accessories or hardware tools. 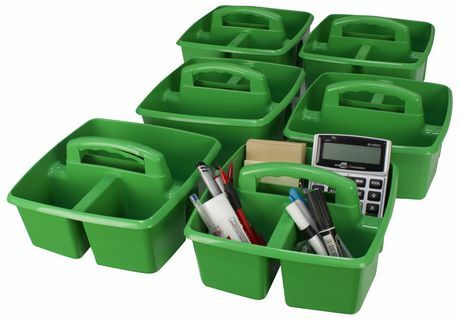 Take your supplies from the closet to the work table quickly and simply. Made of heavy-duty material for lasting durability is completely washable and dishwasher safe. 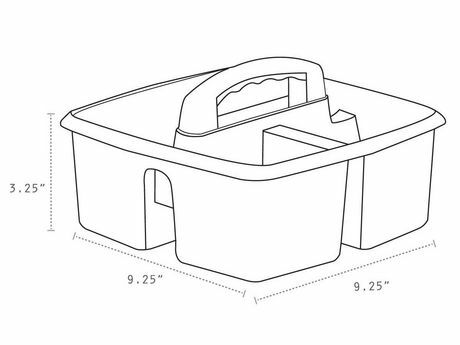 Small caddy / Carry basket to organize, keep and store. 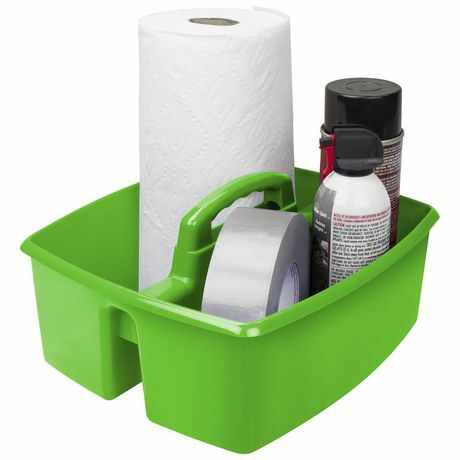 Very versatile for: art & craft materials, cleaning supplies, toilet accessories or hardware tools. Rounded handle for comfort grip. Organize essential supplies for grab and go usage. Impact resistant plastic will not crack scratch rust or dent. 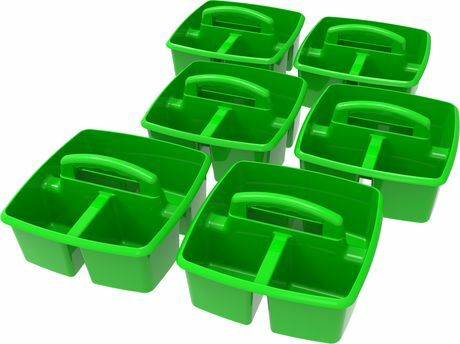 Sell as a pack of 6 units for your better savings.